All fruit juices can be quickly absorbed by body and provides an instant relief and energy. 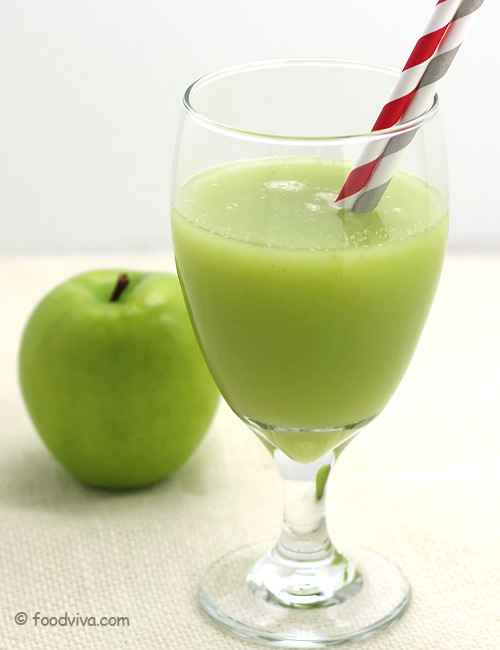 Revitalizing green apple juice prepared from green apples and celery is no exception to this; it quickly provides vitamins and nutrients to body making you feel refreshed recharged. This easy to prepare, easy to digest homemade apple juice recipe is an ideal healthy summer drink. Note: You can add a cup of green spinach or 1-kale leaf along with other ingredients to make a healthier variant. 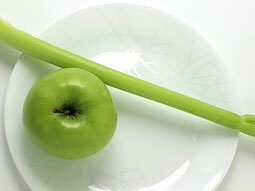 Wash apple and celery in running water and pat dry them. 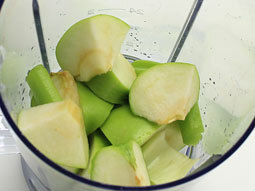 Cut apple into medium pieces and remove the core. 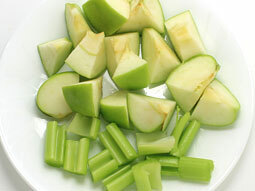 Cut celery into medium pieces. 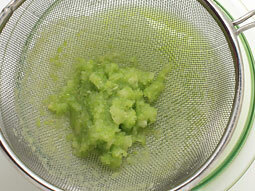 Add apple and celery in a blender jar. Pour 1/4 cup water. Water is required to move all ingredients freely. If required, you can add up to 1/2 cup water. Blend them until smooth puree. 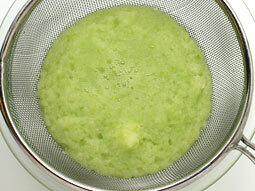 Place a fine metal strainer over a large bowl to strain the juice. Pour the prepared juice over it. You can also use cheesecloth or nut milk bag to strain the juice. Press the pulp with a rubber spatula or a metal spoon to get as much juice as possible. Discard the remaining pulp. Add honey and stir with a spoon. 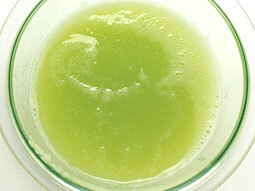 Tangy and healthy green apple juice is ready to serve. If you don’t like the tart taste, add honey (as per your taste) and one sweet apple along with other ingredients. Serving Ideas: It enhances the healthy breakfast. Serve it chilled as a cool afternoon summer drink to kids. 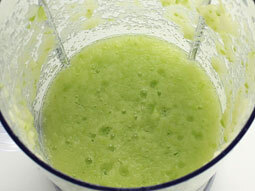 Thank you a lot, I tried your recipe and I enjoyed the juice. I want to make it in large quantity for commercial purpose. What and how can I do? Response: Hello Amjod, I am not able to give you the answer as I have always made it in smaller quantity and for fresh consumption. Omg! THE BEST recipe I have tasted and so simple. LOVE IT!! Simple and easy to make Apple juice method. Thanks. Apple juice is not only delicious, it also offers you a great selection of different health benefits. Green apple juice benefits have been discussed in various texts however the fact remains that many of us don’t add these to the daily diets as directed. 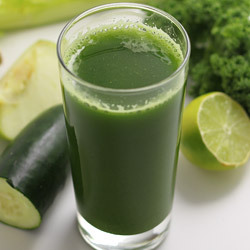 Really fresh kind of a juice, the green elements causes it to be feel like a salad juice, very good like a morning juice.